It’s diminutive stature is outright dwarfed by the likes of the Sydney Opera House but don’t be fooled: the humble dumpling is a Sydney visitor magnet in its own right. Whether you want to taste test the trade secrets dim sum masters dexterously stuff into xiao long bao (Chinese soup dumplings), wontons or Gyoza, Song Hotel Sydney and Redfern are on the doorstep of a lively dumpling circuit. One of the boons of stabbing and vacuuming these bloated batches of steamed, fried and boiled exotica is that they’re a social plate perfect for splitting with friends and family on a night out. Then again, if you’re helpless to resisting them all for yourself – and returning to the street looking like a dumpling on human legs – that’s perfectly fine too. There are no secrets here. Johnny Wong’s Dumpling Bar is indeed what it’s name suggests it is: a dumpling bar. Wong, a mysterious chef who cites lineage to the streets of Taiwan to tell his Darlinghurst venue’s origin story, trades on bulging Taiwanese dumplings and other favourites including buns and pancakes. The intimate venue, which is decked with sprays of neon and Chinese newspaper wallpaper, attracts a cool crowd who make an effort getting dressed for their dumpling love-ins. Wong’s beer menu is, erm, minimalist (if you want a beer, you’d best like Asahi) but the broader drinks offering includes some nifty cocktails that adequately cool all that dumpling heat. Show on Wednesdays at 6pm and Wong will serve you dumplings by the dollar and double it with a soundtrack of hip hop that bumps and grinds out the speakers til you’re positively stuffed. 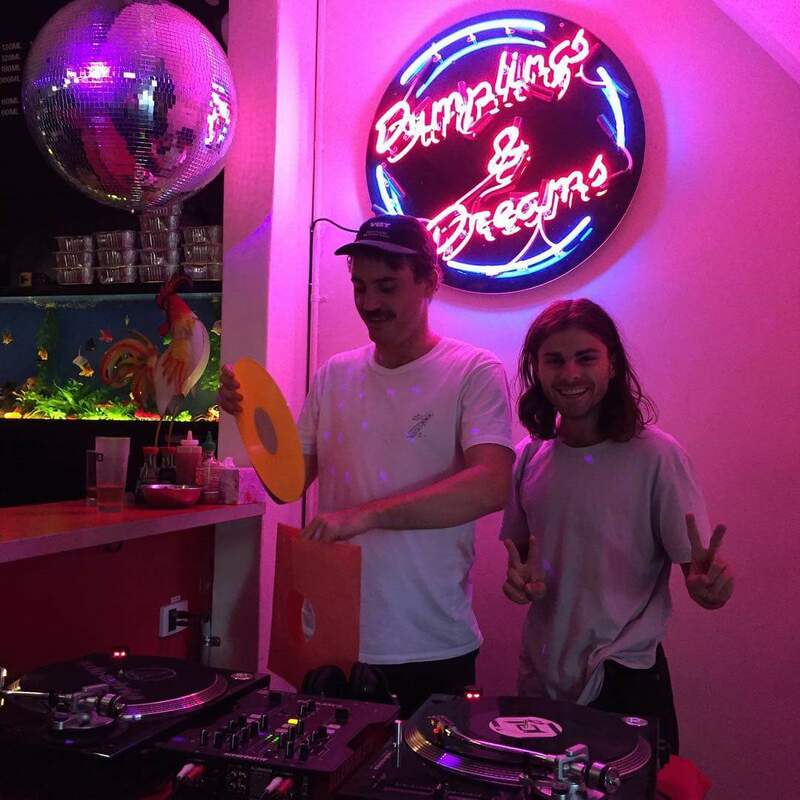 Micro dumpling bar Happy D’s, a new neighbour on the block in Redfern, is the making of a mother-and-son team with a background in yum cha catering and hospitality. Steamed dumplings (including prawn, barbeque and mixed mushroom varieties) are the headline act here but they’re ably supported by an ensemble of obscure beers, Japanese and Australian wines and slaying cocktails. The bar bench at Happy D’s, a long snake of communist red replete with diner-like sets of condiments and packeted chopsticks, is space enough for 25-odd guests and, as one of them, you’ll prop just fine – whether you’re in transit or anchoring for a lengthy session of boozing, gnashing and yakking. As soul and disco music rattles the stereo, it’s the thing to eat and drink head-on to the staff on the other side the bar. If you run out of things to say, just remark on the bar’s jewel: the giant billboard of a fake fish tank that makes a gloriously kitsch impression as the bar’s backdrop. Dumpling aficionados will appreciate the precision at the heart of Din Tai Fung’s dumpling production. 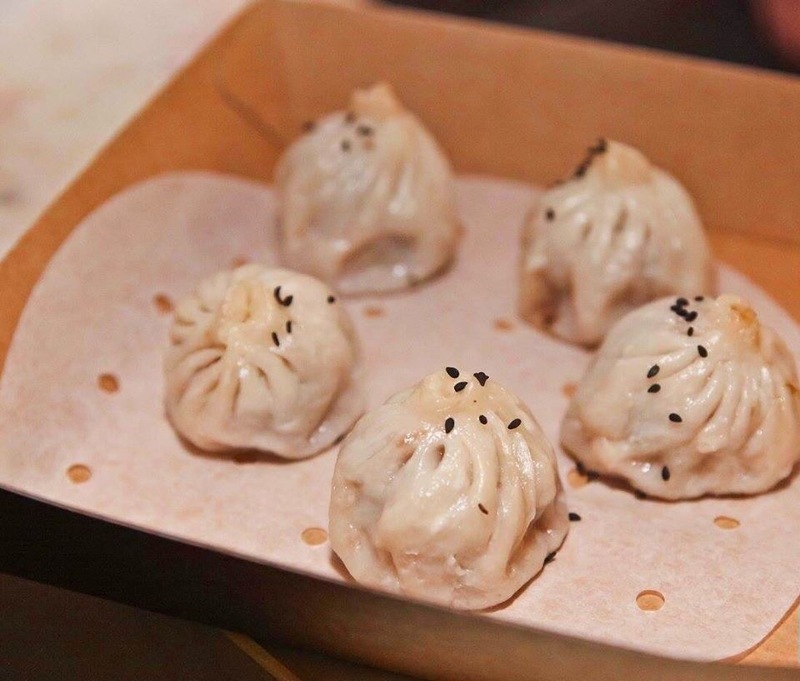 The chain’s handmade pork dumpling pastry is designed to weigh between 4.8 and 5.2 grams and its obsessively turned and wrapped around an extra 15 grams of filling that makes these treats look blatantly pregnant. Din Tai Fung, originally a Taiwanese cooking-oil manufacturer, started out as a roadside stall in the early 1970s. Now well established in various countries including Australia, China, Korea, Hong Kong and the USA, the Michelin star-rated chain generates heavy traffic for its xiao long bao and its expertly-trained chefs buoy the menu with many dumpling variations, noodle dishes, Taiwanese rice and sweet dessert buns. With nine franchises around Sydney, it’s an easy dumpling oasis to find. The Yang’s Dumpling restaurant dynasty reaches 150 locations around Shanghai and wider China but it’s just started making a name for itself in Sydney. 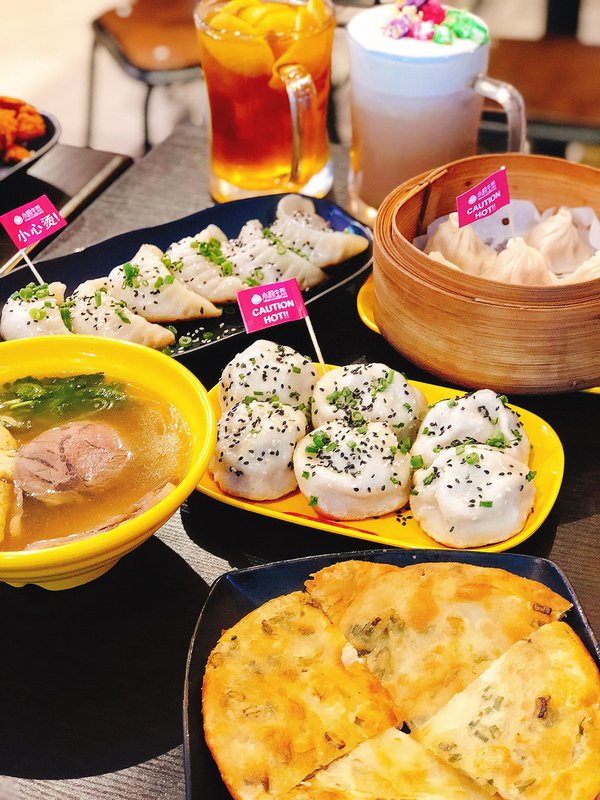 Renowned for its sheng jian bao (popular Shanghainese crispy-bottom dumpling prone to spurting broth like a punctured mandarin does juice), Yang’s launched soft as a small takeaway shop in Burwood but has since expanded to offer a more extensive dine-in option on Deane Street. No-frills wood tables set the tone for an express dining experience characterised by made-to-order highlights including juicy pan-fried pork buns and Shepherd’s purse and pork wonton soup. You might not spend the night here but the reason Yang’s has spilt queues on the street is because it’s living up to the reputation it earned itself through vast expansion in China.